Live less than 5 miles to Sanibel Island and Ft. Myers beach! Live Florida Life style. Meticulously maintained and totally remodeled. 1st floor condo with walk out to the lake. Iona location Walking distance to Marina with a 600' fishing pier directly in the Caloosahatchee River. Unbelievable sunsets every night. Private beach, walking path right outside your back door. Private heated pool for Cardinal Cove residents. Club house offers free Wifi, BBQ and kitchen for pool parties. There is a pool table in clubhouse. The condo offers light and bright 2 bedroom 2 bath with 2 large walk in closets. Granite countertops, large 18"tile through out. Crown moulding. 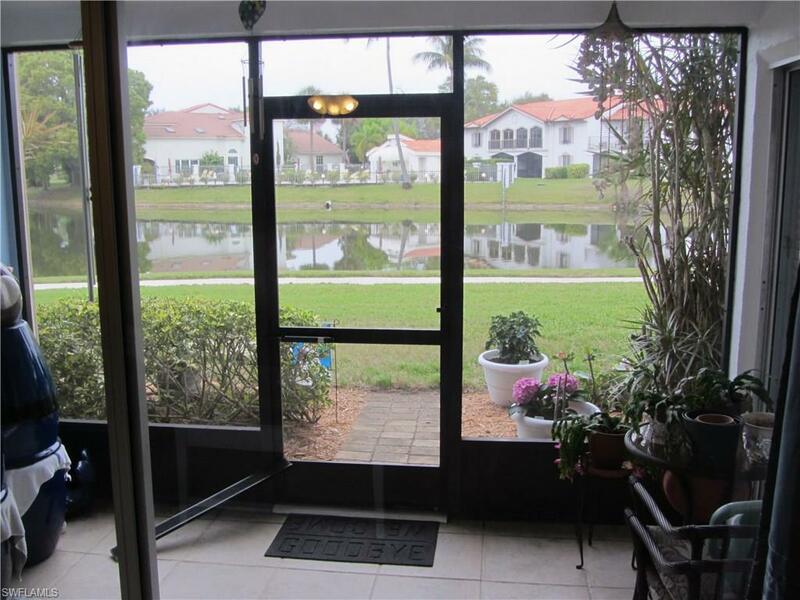 Tiled screened lanai overlooking beautiful lake with plenty of wildlife.. Copyright 2019 Multiple Listing Service of Greater Fort Myers and the Beach, Inc.; All rights reserved. The data relating to real estate for sale on this web site is the copyrighted and proprietary database of the Multiple Listing Service of Greater Fort Myers and the Beach, Inc. The properties displayed may not be all of the properties in the MLS\' database, or all of the properties listed with Brokers participating in the cooperative data exchange program. Properties listed by Brokers other than are marked with BR logo and include the name of the listing Brokers. Information provided is thought to be reliable but is not guaranteed to be accurate; buyers are advised to verify facts before making the decision to purchase a property. No warranties, expressed or implied, are provided for the data herein, or for their use or interpretation by the user. Information provided is for consumer\'s personal, non-commercial use and may not be used for any purpose other than to identify prospective properties consumers may be interested in purchasing. This site will be monitored for \'scraping\' and any use of search facilities of data on the site other than by a consumer looking to purchase real estate, is prohibited. Listing broker has attempted to offer accurate data, but buyers are advised to confirm all items. Information last updated on 2019-04-21.